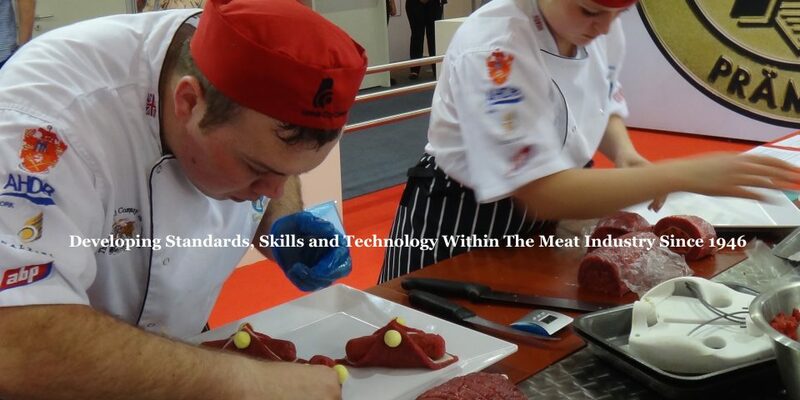 The Institute of Meat (IoM) is a professional body for people from the meat industry and related fields of activity. As well as encouraging and helping to fund education and training throughout the industry it plays a valuable role as a forum for like-minded people to meet, exchange ideas and gain a wider appreciation of the meat industry. Guidance, understanding, information, learning and career development are at the heart of what the IoM stands for, not only for young entrants through the new Butchers Apprenticeship Scheme but also for those already established in the industry at all levels of their career development. It seeks to further a greater understanding of all aspects of the meat industry as well as the wider supply chain from farming through to processing, manufacturing, the foodservice sector and retailing. IoM members are entitled to letters after their name (see membership options) and each year receive a members certificate and pin badge. The Institute of Meat was formed in 1946 as the meat industry’s education and examining body and hosts the annual Prizegiving awards together with The Worshipful Company of Butchers.